Smart Packaging has the potential to revolutionize the way customers interact with food packaging. It also opens up a realm of new possibilities by connecting a new host of everyday objects to the Internet of Things (IoT), the interconnected network of household objects that can collect and exchange data. It can enhance packaging functionality, but also increase checkout efficiencies saving the retailer and consumer both time and money. At Polytainers Smart Packaging is available in PolyToneTM HD, Shrink Sleeve and IML! 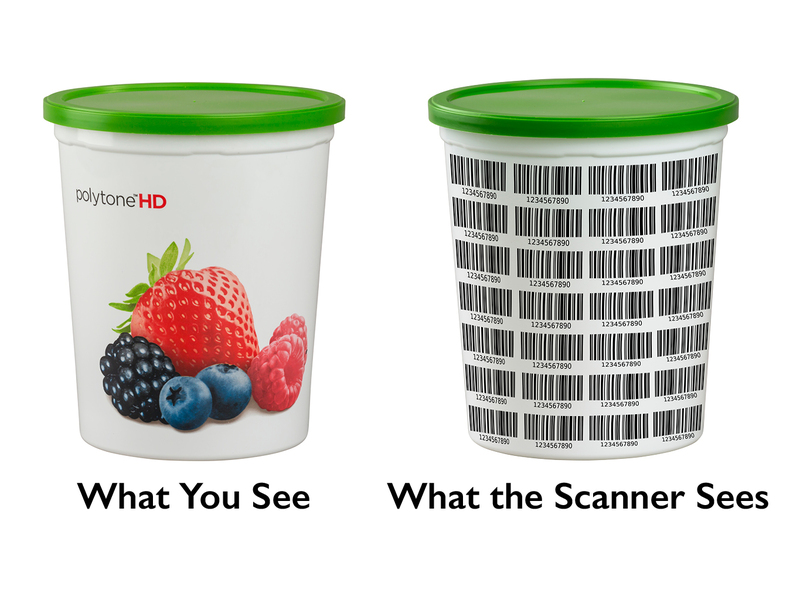 Smart packaging codes create improved barcode efficiencies for handheld scanners, inventory robots and supply chain cameras. Manufacturers/retailers are able to track the quality and safety of packaged goods at various points within the distribution line and after they leave with the consumer. Smart packaging codes within the package give brand owners the opportunity to provide additional information that will help the consumer make more informed purchase decisions at store shelf. Deliver a browser based experience or integrate within a mobile app for iOS, Android and Windows.